Real estate investment requires a number of things to be successful – preparation, patience and vision, among other traits. However, for most real estate investors, equally as important as those traits is also finding a hard money lender to partner with throughout the investment process. Those that need to borrow money to finance a project will want to ensure that they work with a hard money lender that’s more than just a lender, but rather a true partner during every step. Unfortunately, many borrowers fail to do their due diligence during their evaluation process of hard money lenders and suddenly find themselves trapped in a lending situation full of additional fees that quickly add up financially. Bay Mountain Capital (BMC), on the other hand, is a hard money lender you can trust to be a true partner throughout the entire investment process. Not only does BMC commit itself to treating everyone with respect and integrity, but also to best position borrowers to profit from their projects. One of the ways BMC demonstrates this commitment is through their processing fees. Processing fees are simply the fees charged to the borrower for processing the loan. The process begins when the potential borrower fills out an application. On the application, BMC asks for the purchase price of the home, location, what the borrower believes the after-rehab value will be and other general information. Once the application is filed and reviewed, BMC will send out a term sheet. The term sheet must be agreed upon prior to moving forward. Once the terms are finalized, BMC will begin to underwrite the loan. During underwriting, BMC orders an appraisal, runs title and finalizes other details. he processing fee helps cover most of the underwriting expenses. How do other hard money lenders handle processing and other fees? Everyone knows about interest rates when it comes real estate investment and loans in general. Origination fees – where the borrower pays the lender to lend the money – are also common. However, it’s the additional fees, like extra processing fees and others that can trap beginning real estate borrowers into paying more money by the end of the process. The process is akin to a bait and switch. 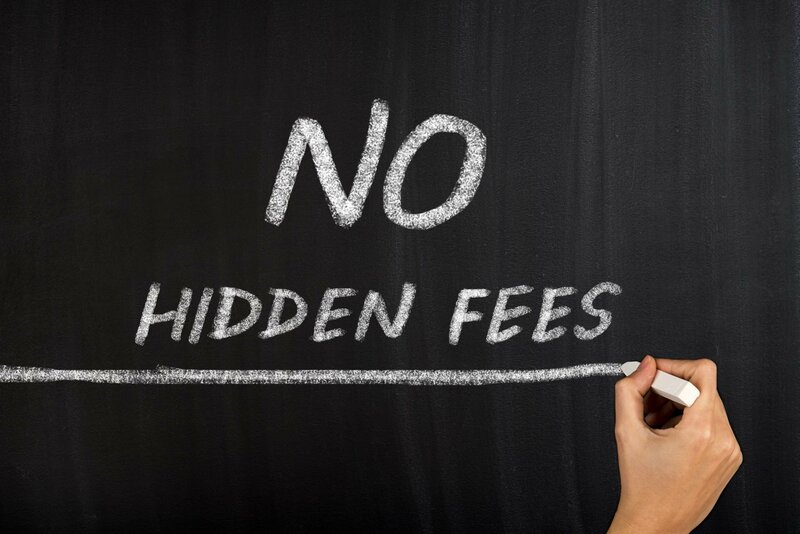 Junk fees can include an underwriting fee, additional processing fees, a closing fee and other hidden fees. And now, the borrower who took out a $100,000 loan is paying four percentage points in fees ($4,000), plus a two-point origination fee. Once all of the fees are added up, along with the interest rate, the actual percentage points attached to the $100,000 loan are more like 15 or 16%, and not the 9% interest rate that initially caught the borrower’s attention. The surprise of these additional fees can lead to a bad experience and even set the borrower up for failure, especially if they only expected to pay a certain amount in addition to the loan. How does BMC differ from other hard money lenders? At BMC, we don’t treat our borrowers as borrowers. Instead, we’re driven by our four core values – integrity, respect, improvement and excellence – to treat borrowers as partners and help them achieve whatever real estate investment goals they may have. That’s reflected in our loan programs as well, which we’ve recently changed. With our two programs – based on credit score – we’ve lowered our interest rates by more than a point to reflect the competitive market and ensure our borrowers are getting the best deal possible. Credit scores of 680 or higher will garner a 10.9% interest rate, while below a 680 score will net an interest rate of 12.5%. We also have the ability to lend up to 100% of cost or up to 70 % of after-rehab value, depending on the market where the property is located. In addition to our newly reduced rates, our biggest differentiator is the transparency we provide borrowers from the very beginning. At the outset, any potential borrower is aware of the rate and fees associated with loan. And fortunately, there aren’t many. For example, we only charge one fee in addition to the interest rate – a flat processing fee of $595, no matter the loan amount. So when the borrower shows up at the closing table, they may be paying a slightly higher interest rate, a two-point origination fee that every lender will include, and the $595 processing fee. In the end, the borrower is only paying approximately 13-14% in fees, compared to the typical 15-16% in fees associated with other lenders. Regrettably, most beginning borrowers don’t realize the cost of the loan can be much greater than the loan amount once all of the junk fees from other hard money lenders are thrown in. At BMC, we strive to operate with complete transparency and build the trust between ourselves and the borrower that’s essential for a successful partnership.